Hand-built stoneware chip and dip hostess set by New Mexico clay artist Dorothy Rising of Las Cruces. The 2 piece set is microwaveable, dishwasher safe, lead free. 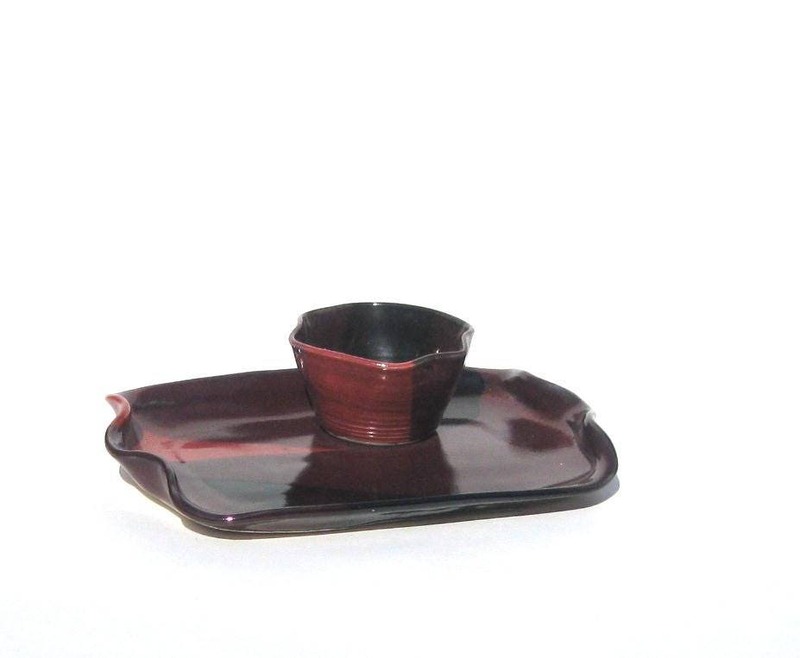 The colour shown is called SANDIA- Harlequin version - red, purple, and black. The tray measures 12 inches long and 8 inches wide. the bowl is 2 inches tall and 4 inches wide. Fired to 2400F.